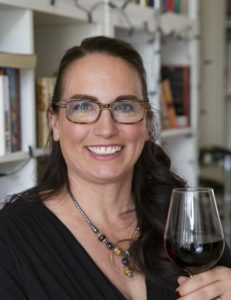 I’m pleased to have author Dena Haggerty, writing as D.E. Haggerty, from Hague in the Netherlands, here to speak about her writing and new release, Picture Not Perfect, that’s on blog tour with Escape with Dollycas into a Good Book. Welcome, Dena. How long have you been published? What titles and/or series have you published and with which publisher? Have you self-published any titles? Please give details. I write cozy mysteries, historical fiction, and romantic comedies. I’m currently working on the cozy mystery series: The Not So Reluctant Detective Series. 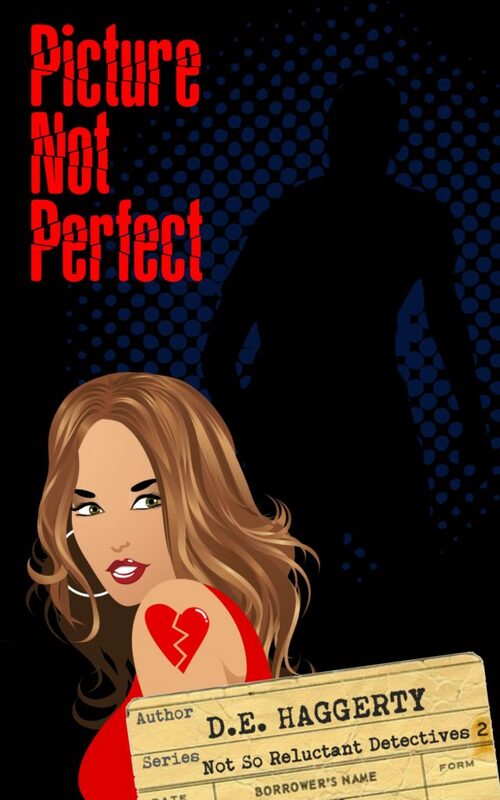 The second novel in the series, Picture Not Perfect, released January 21st. The series will consist of three books, and I’m already busy working on the third book. My goal as a writer is to consistently publish three books a year. After I finish the Not So Reluctant Detective series, I’ve got another series I want to get started. This series will not be cozy. I can’t wait! I’m also working on a memoir and another historical fiction novel. Lofty goals, but it sounds like you’re determined to accomplish them. As I write in a variety of genres, it’s sometimes difficult to pin down who exactly my ideal reader is. My books do, however, appeal to women in general – especially the romantic comedies. I also like to feature heroines who are a bit older – between mid-thirties and mid-forties. As a reader, I feel like there aren’t enough heroines in that age group. I guess that means my ideal reader is a middle-aged woman. A good group to target. I’m self-published, so I can’t advise anyone on how to get an agent or any of that. I would advise potential authors to take a good hard look at what they want to achieve with their writing before deciding to go the traditional route or self-publish. Both sides have their good and bad. That’s a very good piece of advice. I’m in the middle of the road right now publishing with an online publisher, but I still hope to publish traditionally one day. My struggle wasn’t about getting published as I went the self-published route. My struggle was more about making the leap of faith to become a published writer. I still struggle with calling myself a writer and that’s after publishing thirteen books! I hear that from other authors, so it’s not an uncommon concern. I don’t currently. I think writing groups are great and I’ve belonged to a few in the past. I’d love to join another group but haven’t found an English-language group in my town yet. I’m sure there are online groups you could look into. I’m a huge reader – of course! I also play tennis, love to visit museums, and enjoy movies. And I’m not averse to drinking a few adult beverages with friends. I like being creative: whether it’s figuring out what my crazy characters will do next or trying to come up with a good marketing strategy. The toughest challenge is the market. There are thousands of eBooks published A DAY. Yes, every single day. Trying to find out ways to stick out above the crowd is a challenge. That’s the truth. Marketing is not most writer’s cup of tea. Mysteries are fun to write. Trying to throw readers off track while giving little clues here and there as to identity of the true killer is great fun. Cozy mysteries are especially fun as the ‘detective’ is an amateur and there’s therefore no need to stick to the rules and procedures of the police. I’m not much of a rule follower. Good point, and I feel that way, too. “Ms. Hanson, please have a seat.” Detective Meyer motioned to a chair before setting a bottle of water on the table in front of him. Then, he sat down and placed a file on the table. His partner remained standing in the corner of the room near the door. Mel started to stomp her way to the chair before remembering someone was probably watching and recording whatever she did and said in the room. She firmed her jaw before slowly walking to the chair and sitting down. Thanks for having me on your blog today! It was fun! Thanks for chatting. Glad you enjoyed being my guest. Thank you for being part of the book tour for “Picture Not Perfect” by D.E. Haggerty. I enjoyed reading the interview with the author and the excerpt. Can’t wait for the opportunity to read the book. Glad you enjoyed the interview, Kay.